Depending on the game between Dinamo Sassari and Maccabi on Thursday night, this game could represent a chance for Darussafaka to book their place in the Top 16. 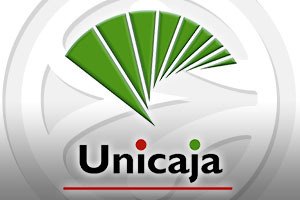 Given that Unicaja have already qualified for the Top 16, you may think that they could be in a relaxed mood but it is very likely that they will be going all out for the win that could help them top the group. The Istanbul team have a 3-4 record and are in fourth place, with a two-win lead over Maccabi. If Maccabi fail to win on Thursday, Darussafaka could create an unassailable lead with two games to go, and you can expect the home fans in the Volkswagen Arena to fully back their team. Even if this isn’t a chance for the home team to book their spot in the next round of the Euroleague, they will still be going flat out to grab a vital win in this match. Luke Harangody has been the go-to guy from the Turkish side this season and one more big performance from him could see them looking forward to top level European basketball after the New Year. With a 6-1 record, and the fact that that CSKA Moscow are likely to win their game this round, Unicaja Malaga will be in no mood to lay down and roll over. This is a team that wants to top the group and this could spur them on, while denting the hopes of the host club. Mindaugas Kuzminskas has been instrumental to the Spanish side’s success this campaign and if he is able to play his normal game, you could be looking at an away win on Friday evening. They may not play at their top level but you can expect plenty of effort and endeavour from Unicaja Malaga in this game. The hosts are slight favourites in this game and this means you should look at Unicaja Malaga at -1.5 at odds of 1.90. For the Over/Under market, look to go UNDER 148.5 at odds of 1.90. Bet Now!